What is your single favourite novel? Apologies if this a repeated thread; I can find Top Ten's, favourite in a particular genre, best of [year], re-reads, but not "favourite". I'm looking for a single answer (with or without a reason). No lists. And no cheating by saying "hmm...difficult...could be That One, or maybe The Other One, but if pushed I would say This One." I'm, sure it's difficult, but would be interested to see if one book really does stand out from any others that you have read. If it's really not possible to narrow it down to one then say so (but don't post the 'candidates'). For me, Zen and the Art of Motorcycle Maintenance. I love the road trip aspect of the story, the inner musings of the main character, his relationship with his son, the discussion concerning "quality" (which was something I had not considered before reading the book), and even - perhaps strangely - the outcome (and, having read it, knowing what will happen to him). I've read it more times than any other book - and, now that I write about it, want to read it again. 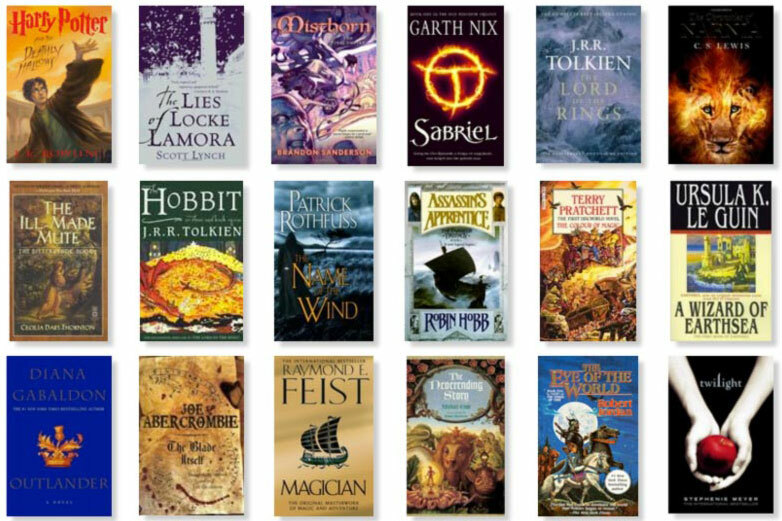 My all time favourite is The Hobbit, by J.R.R. Tolkien. If I have one at all, it's Foucault's Pendulum by Umberto Eco, for the brilliance of its central conceit, the way it drags you in so that you almost believe it yourself, and the wide range of its esoteric interest. But the last time I tried to read it, I couldn't get back into it, and I might never do so again, so it feels a bit of an unsatisfactory choice. I'm afraid I can't. I have two I love equally. I've thought and thought and I can't seperate them. At this moment in time, Deadhouse Gates by Steven Erikson. It is an emotional rollercoaster every time I read it. Absalom, Absalom by William Faulkner. The history of the American South and the curse of slavery and its consequences condensed into a representative story, all told in some of the most compelling, propulsive prose I've ever read. Memories of Ice, Steven Erickson.... emotional rollercoaster doesn't even begin to describe how this book made me feel. Byzantium by Stephen Lawhead - a wonderful adventure set across the early European Middle Ages. The Vikings are especially memorable. Something weird has happened to my post...where did all those books come from? Hearth of the Comet, David Brin and Gregory Benford. There are two things people are good at above all: endure and have hope. Well, if I knew I had just enough time for one more book before the Fourth Horseman arrived I'd have to reread The Star Kings by Edmond Hamilton, and if he by chance threw a hoof along the way I'd try to squeeze in The Star King by Jack Vance. My favorite novel is C. S. Lewis's That Hideous Strength. I first read it, I suppose, fifty years ago, and have read it ten times (and also the author's abridgement, The Tortured Planet, once). It has all sorts of things I like -- evocation of landscape and weather, academic satire and satire of eugenics, bureaucracy, and scientism, love of reading and learning, well-paced suspense and adventure, antiquarianism and the Matter of Britain, a dash of Owen Barfield's thought and Neoplatonism and Christian orthodoxy, gardening, splendid use of language, a marvelous and successful merging of modern and medieval cosmology, and animals, and marriage, and love of beauty. It's a great science fantasy about human flourishing and its enemies. And as prophecy it's truer than 1984. The National Institute for Co-ordinated Experiments is all too believable as a pertinent satire of trends all the more evident now than in Lewis's day. The "deconstruction" of Mark Studdock's sense of norms that he undergoes in the NICE is like a speeded-up version of what gets taught in Theory-focused literature courses today. Those of you who like Kentucky essayist Wendell Berry might remember his references to this novel. If it can be considered a single novel, The Book of the New Sun by Gene Wolfe. I don't have one. It is too difficult - comparing apples to oranges. I love X best because it makes me laugh. I love X best because it pulls my heartstrings and so on. Too many to pull just one to the top. I could say my favorite at this moment - which would change from day to day. Single Male Seeking Non-Violent Fantasy and Sci-fi Novels for good times and adventure.